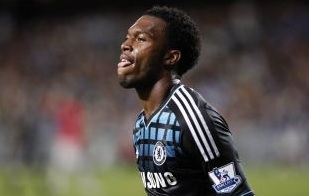 Daniel Sturridge looks set to stay at Chelsea and fight for his place following the arrival of Andre Villas-Boas. The England under-21 forward had been expected to join Bolton Wanderers on loan again. However, after impressing new boss Villas-Boas during the club's pre-season tour of Asia, the striker is keen to challenge Fernando Torres, Didier Drogba and Nicolas Anelka for a place in the team. "The manager has given me licence to express myself. I have never had that before with any manager,” Sturridge was quoted as saying. “He has let me off the leash if you like. He has given me a lot more freedom than I have ever had and I will enjoy my football a lot more.” Whilst Sturridge has been praising his manager for allowing him to express himself on the pitch, he also believes his team-mates are enjoying the approach at the club under the new boss. He added: "It is not just me either; everyone feels like that. He wants us to attack and not be too defensive. That is refreshing. The tour has been great."